What are the features of Meralco Online? Regardless of time and day, Meralco Online allows you to view and pay your bills as well as report power outage in your area. Aside from being updated on restoration time, you may also sign up for advanced email and SMS alerts for planned outages due to scheduled maintenance. You may also request for products such as Prepaid Service, Net-Metering, and Peak/Off-Peak through Meralco Online. Same goes for services like service downgrade or upgrade, facility relocation or remodel, and electric service contract changes. If you would like to apply for electric service for your home or property, Meralco Online is also the place to go. Because we value your feedback, concerns and inquiries can be coursed here and responses are sent either via email or through real-time response from a Meralco agent. Meralco Online lets you access the Meralco Virtual Engine (MoVE) online app which features a directory of Meralco Business Centers and Bayad Centers as well as the Appliance Calculator and Orange Tag for computing operating costs of every appliance. Meralco MoVE also gives energy efficiency tips and provides updates on new technologies through the Bright Ideas section. As we continue to develop Meralco Online, you will be able to view power outages and track your electric consumption on a daily or weekly basis in the future. You may visit www.meralco.com.ph to register and download the Meralco Mobile App. The same app is also available through the Apple App Store for iOS device users and Google Play for Android. Meralco Online gives you 24/7 access to Meralco services. View & Pay Bills. Access your bill and pay anytime, anywhere. Report an Outage. Inform Meralco when there is an outage in your area, and get updates on the time of restoration. You may also enable SMS & email alerts, so you can be notified of planned outages (due to scheduled maintenance) in advance. Products and Services Requests. Avail of Meralco energy programs, such as Peak/Off-Peak (POP), Prepaid Service (KLoad), and Net-Metering. You may also request for service and account updates, such as service upgrade/downgrade, facility remodel/relocation, and changes in the electric service contract. Inquire or Give Feedback. Send us your inquiries or concerns and we will give you feedback via email. You may also get real time feedback via chat with a Meralco agent. Apply for Electric Service. Need electric service for your newly purchased home or additional property? Accomplish the form and submit your requirements online. Plus, you can access all the functionalities you love from Meralco’s pioneer online app, the Meralco Virtual Engine (MoVE). Appliance Calculator & Orange Tag help you compute the operating cost of your appliances. Directory shows you the nearest Meralco Business Center and Bayad Center outlets. Bright Ideas gives you energy efficiency tips, updates on ongoing appliance promos, and information on new technologies. View your power outage in a map. 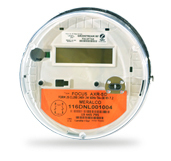 Monitor your daily or weekly electric consumption. To register, go to www.meralco.com.ph or download the Meralco Mobile App*. * Supports the latest iOS and Android operating systems. Download via the App Store (Apple) or Google Play (Android).